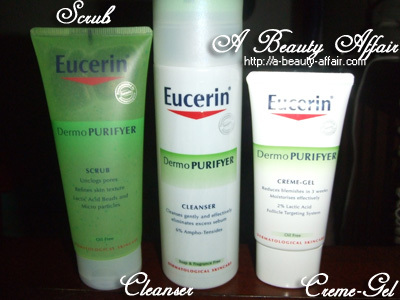 What’s so special about Eucerin DermoPURIFYER? Firstly, it contains natural ingredient; Lactic Acid that is more gentle to the skin as compared to Salicylic Acid or Benzoyl Oxide. It is able to reach deep into the pores where the acne originates and targets specifically the affected areas without drying out the rest of the skin. So one won’t have to deal with redness, dryness or flaking skin in this case. Grab your sample kit now, it’s FREE – (Postage Waived)! After sampling the products, here are my thoughts….. 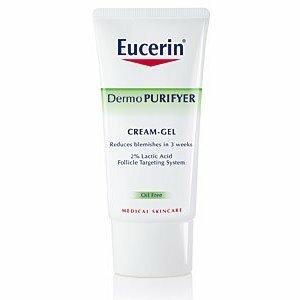 This is the first time I’m using anything from Eucerin and I’m pretty impressed. This entry was posted in Beauty, Face, Skincare and tagged acne, cleanser, Eucerin, Moisturiser, skincare by Charlotte. Bookmark the permalink.